(NaturalNews) Through a decade of research, the son of a pharmaceutical technician from Hyderabad, India, discovered a naturally occurring molecule called NTX that largely protects the liver from the adverse health effects of drinking alcohol. Harsha Chigurupati founded Chigurupati Technologies in 2006 before partnering with Bellion Vodka to create an alcoholic beverage infused with NTX, which could reduce harm to the liver by up to 93 percent, according to clinical trials. Needless to say, the technology is revolutionary. But there's just one problem: The government is preventing it from reaching the masses. 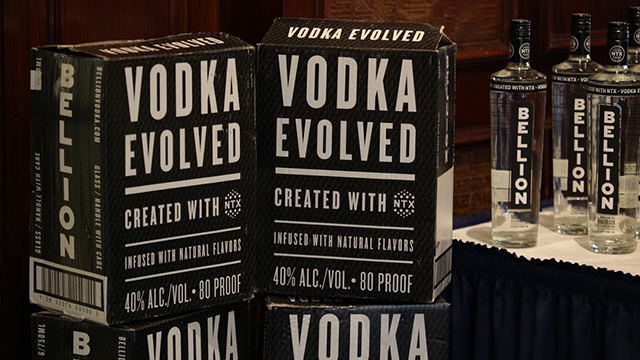 Because health claims on alcoholic beverages are prohibited under the U.S. Treasury's Alcohol and Tobacco Tax and Trade Bureau – the agency responsible for regulating marketing claims on alcoholic beverages, among other things – Chigurupati Technologies and Bellion Vodka cannot market their product for what it is. Instead, they are forced to use extremely vague language describing the beverage as a "smarter way to drink." However, that could change, because for the first time ever, TTB's labeling restrictions are being challenged through a health claim petition backed by Chigurupati Technologies and public interest groups The Coalition for Safer Drinking and Ron Paul's Campaign for Liberty. The groups banded together for a 9:30 A.M. ET press conference Wednesday April 13 in Washington D.C. at the National Press Club to discuss their plan of action. The health claim petition, reaching around one thousand pages in length, seeks action from the TTB, specifically requesting that the developers of NTX be permitted to state the "factual health benefits" of Bellion Vodka and other functional spirits, said Linda Parry, CEO of Product Launchers, the public relations firm representing CFSD. The health claim is a precursor to a lawsuit, Parry told Natural News. If the TTB refuses to grant their request, a lawsuit will be filed in the Superior Court of the District of Columbia. It remains unclear when the bureau will respond, she said, adding this is "uncharted territory for the governing body." Speakers at the event include Ian Bress, Chief Financial Officer of Bellion Vodka; Harsha Chigurupati; William Hennessy, spokesman for CFSD; Norm Singleton, President of Campaign for Liberty; and Jonathan W. Emord, an attorney with Emord & Associates, P.C. and author of the book The Rise of Tyranny. Chigurupati Technologies and the public interest groups plan "to confront the TTB's use of excessive governmental regulations, cronyism and financial gain in the $1.2 trillion a year alcoholic beverages industry," according to a press release[PDF] generated by CFSD. A team of PhD scientists working for Chigurupati Technologies were able to find a way "to counter the negative health effects of alcohol," the press release continues. "Their work has led to the discovery of a proprietary compound, NTX, which proved in clinical testing to protect the liver from potential damage caused by moderate/social alcohol consumption and to reduce the amount of DNA damage associated with alcohol ingestion." 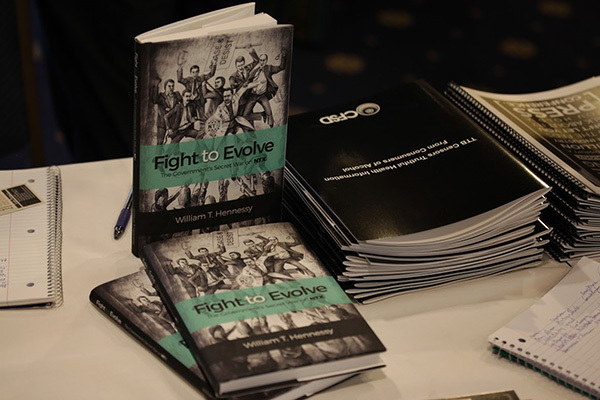 To learn more about how NTX works and the government's war against it, click here to purchase a copy of Fight to Evolve: The Government's Secret War on NTX. A violation of First Amendment rights? Advocates for safer drinking argue that the government's ban on labeling health claims on alcoholic beverages is a violation of First Amendment rights. "Despite the claims of modern 'progressive' judges, law professors, politicians, and attorneys, the First Amendment makes no distinction between commercial, political, or other types of speech," said Singleton with Campaign for Liberty. "It simply says the federal government cannot restrict speech. Therefore, laws censoring speech aimed at convincing someone to purchase a certain product are just as unconstitutional as laws censoring speech aimed at convincing someone to vote for a certain candidate." As Natural News reported in recent months, Chigurupati Technologies has substantial research backing up claims that the NTX molecule, made in part from licorice root extract and sugar alcohol, shields the liver from the damaging effects of alcohol consumption. "This may be the closest thing to a 'miracle cure' for liver disease, cirrhosis and liver cancer that's ever been discovered. Yet nobody in the pharmaceutical industry has ever mentioned it," Health Ranger Mike Adams wrote in February. When Natural News reached out to TTB inquiring about their restrictive labeling policies, Congressional and Public Affairs Director Tom Hogue said the "matter is currently under investigation," adding that he was unable to comment at the time of our request. We also contacted the Texas Alcoholic Beverage Commission to see if they had any authority over labeling alcoholic beverage health claims in the Lone Star State; Marketing Practices Coordinator Mary Aiello said that responsibility lies in the hands of the federal government. In other words, individual states have no control over labeling on alcoholic beverages. Stay tuned for updates as Natural News continues to follow this story.